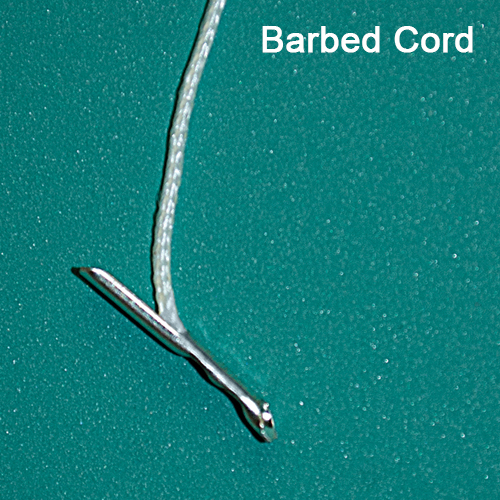 Barbed Monofilament Signage Cord | Sign Holders | Ceiling | Clip Strip Corp. Minimum quantity for "Barbed Monofilament Cord - BRBC" is 100. Order today, while our supplies last! 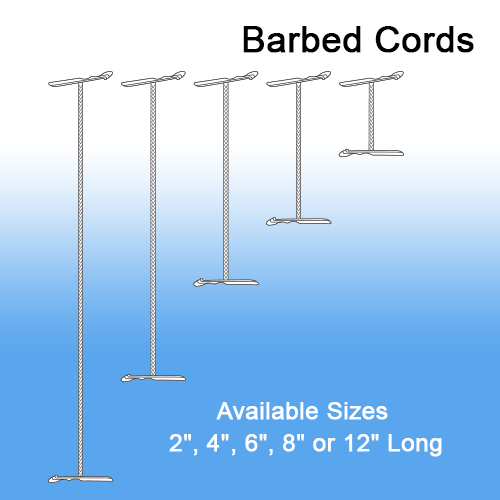 Note: Signs should not be hung directly from Barbs, Please attach Barbed Cords to Hanger. 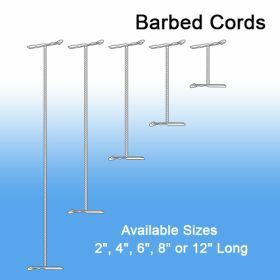 Clip Strip Corp. carries barbed monofilament cord and an entire line of sign holder products from cord to chain to cables. Count on Clip Strip Corp. to be your one stop resource for everything needed to hang signage from the ceiling and off retail store fixtures. Free samples are available on most products in reasonable quantities so you can test before you purchase a large quantity.